At some point in our careers imposter syndrome will strike. I have suffered with it many times, and it always feels like the little monster on your shoulder telling you that you shouldn’t be there. Imposter syndrome was first coined in the 1970’s when a study in America at Georgia State University noticed that successful women suffered from chronic self doubt. Men also suffer from imposter syndrome but not as often as women. There are several examples of high profile women who have come out and talked about their own feelings of dealing with imposter syndrome. So why does hearing about how successful people also struggle with this help you? Imposter syndrome strikes when you are reaching out of your comfort zone and growing. If we can take a moment to thank it for showing us that we are challenging ourselves, we can gain some control back from it. In this podcast I talk about why imposter syndrome strikes, how to overcome it & I set you a challenge to help you deal with your own imposter feelings. Share your fear with others. Chose wisely and find people that have also gone through this experience. You need to be able to make yourself vulnerable with them, and them with you. 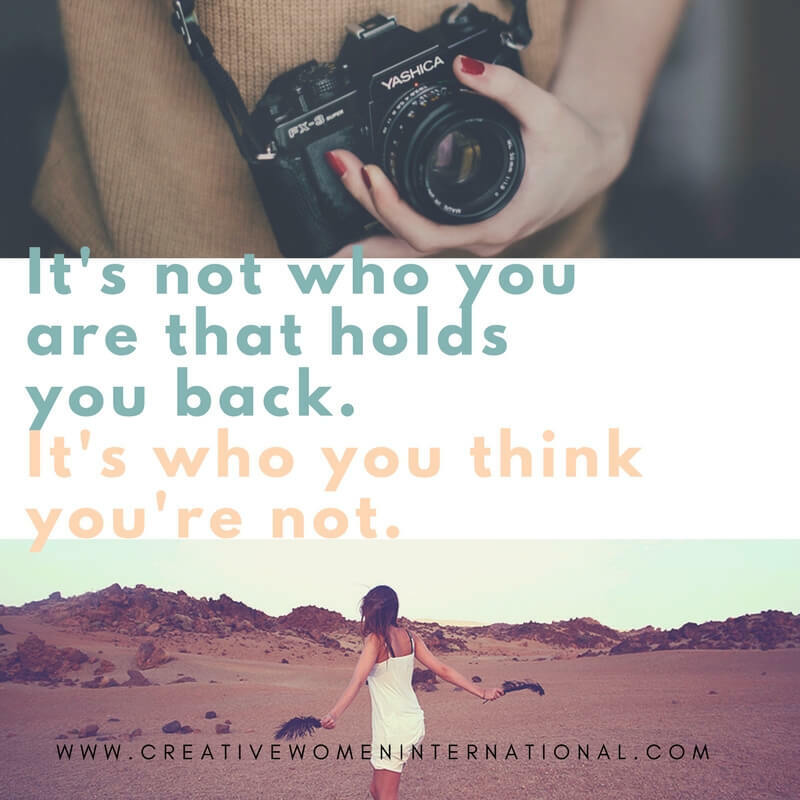 Sometimes joining a facebook group like: www.facebook.com/CreativeWomenInternational can help you to find support. Creating a less boastful & competitive work environment can help. This is a challenge, but small changes in culture at work can lead to big results in the long run. If everyone boasts about how amazing they are all the time, this isn’t helping someone who feels inadequate or has a bad case of imposter syndrome. Admitting to mistakes, or that you are finding something challenging, allows others to open up as well. Training yourself in public speaking can help beat the nerves and increase your confidence. We might be challenging ourselves every day and sometimes it helps to get some extra advice or training if we are feeling uncomfortable with a task we have been given. Research, research, research! Knowledge is such a powerful thing as it helps us to know that we are prepared and stop the panic that we aren’t ready. Work out what the worst case scenario would be, and how you would deal with it. Having a plan B can take away a lot of the fear. Ask yourself what would happen if you gave up or didn’t do it. If the loss is more than working through the imposter syndrome then you know what to do. If you really can’t cope with what you are doing, ask yourself why. Is it that you need some support, more time, or some training? Can you postpone for a while, and get some help rather than throwing it all away? See it as your faithful ‘checking in’ friend. When we challenge ourselves and get out of our comfort zone it can feel…well, uncomfortable! The little imposter voice is like the concerned friend who wants to make sure you are happy doing this. Thank them and then push on forwards. Know that you are not alone. At some point most people will experience imposter syndrome. If you aren’t feeling it, you might be too comfortable and need a challenge! Help others. If someone else is feeling this way, be there for them. Be honest with them about your own experiences and make yourself vulnerable. Listen to the podcast and then find yourself some support so that you are ready if imposter syndrome strikes. 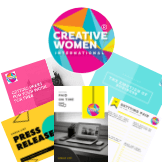 You can find support on the Creative Women International Facebook page, by reaching out to other creatives, or maybe there is a group of women who are working in the same industry as you- who could meet on Skype once a week. What ever it is, make sure you commit to it for at least a month, and see if that helps you. In the comments below let me know how you have found support, or if you need some help finding some. That is what I’m hear for. Good luck. Next Post: Let’s talk about money!